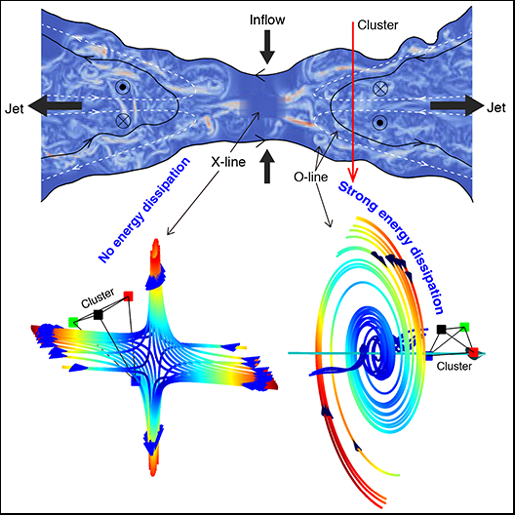 Theoretical analysis uncovers new mechanisms in plasma turbulence. Plasmas, gas-like collections of ions and electrons, make up an estimated 99 percent of the visible matter in the universe, including the sun, the stars, and the gaseous medium that permeates the space in between. 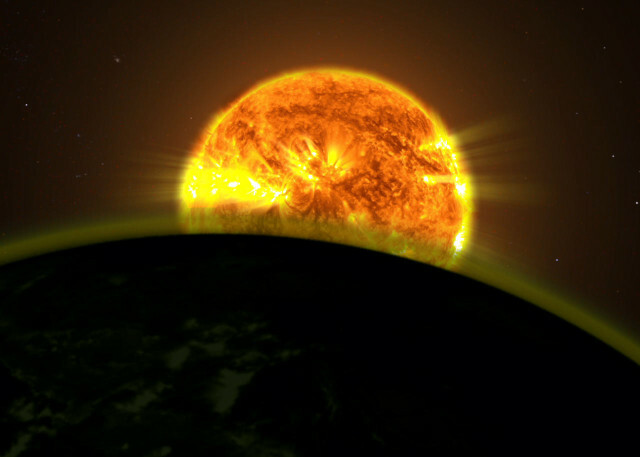 Most of these plasmas, including the solar wind that constantly flows out from the sun and sweeps through the solar system, exist in a turbulent state. How this turbulence works remains a mystery; it’s one of the most dynamic research areas in plasma physics. 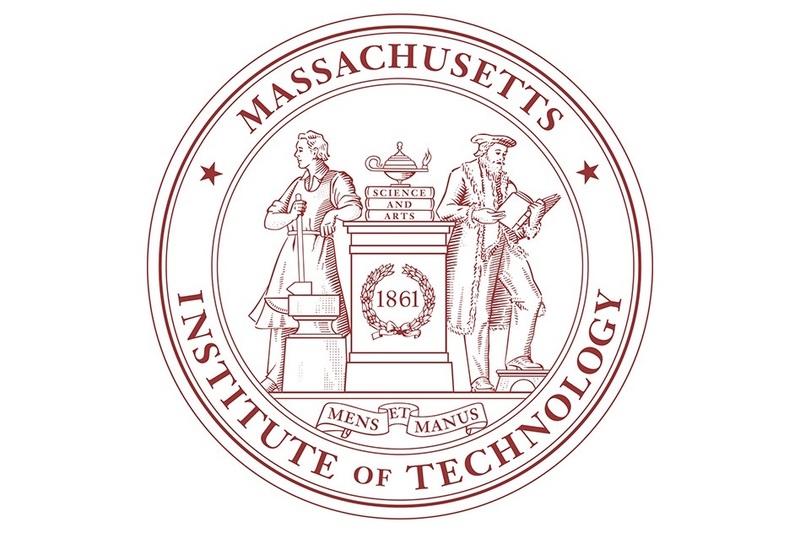 Simulation conducted by MIT student Daniel Groselj. Magnetic reconnection is one of the most important—and least understood—processes in all of space physics. It happens at the boundaries of Earth’s magnetic field, where it meets the Sun’s, causing magnetic field lines to break and realign in an explosive manner that can generate hazardous radiation, especially during solar storms. Now a new study from Fu et al [Geophysical Research Lettersl . adds weight to suggestions that scientists have been looking for this energy in the wrong type of reconnection. For decades, the classic introductory textbook picture of magnetic reconnection has depicted two parallel lines that pull themselves together into an X shape, as if pinched together, until they finally touch at the center of the X line. Then, the field lines snap and realign. Like a rebounding rubber band, they fling plasma out from the center of the X, generating currents than can surge down into the Earth’s magnetic field. 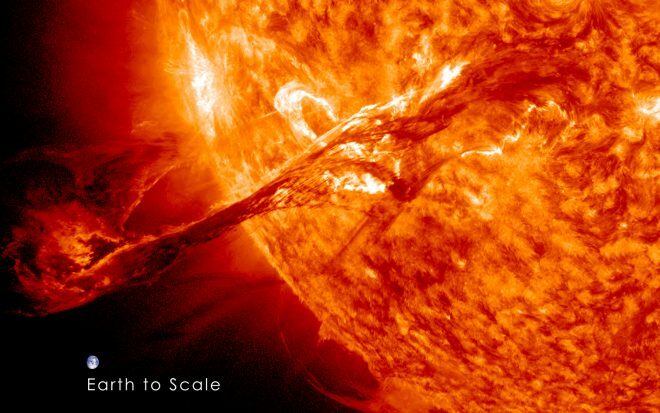 During high solar activity, this process generates the dangerous radiation that threatens power grids, satellite communications, and the health of astronauts. At least, that is the conventional wisdom. But that’s not what the authors’ analysis shows. Instead, the intense blasts of energy may come from a different kind of magnetic reconnection, one not as often shown in textbooks: so-called O lines, where the approaching field lines spiral and swirl together, as if caught in a whirlpool. The team analyzed data from the European Space Agency’s Cluster satellites, a quartet of spacecraft launched in 2000 that fly in formation—sometimes less than 10 kilometers apart—which allows them to make detailed measurements from within magnetic reconnection events. In particular, the authors examined a pass through a magnetic storm on 9 October 2003, high over Earth’s nightside. During their pass through this storm, the craft flew within a few hundred kilometers of several potential sites of reconnection. The team used computer models to recreate the topology of the field lines, finding that two of them were X lines and the rest were O lines. But instead of seeing the highest current levels at X lines as expected, the team found most of the greatest current spikes to be near O lines. At the X lines, the current was almost nonexistent. Reconnection occurs when the magnetic field lines in plasma—the collection of atoms and charged electrons and atomic nuclei, or ions, that make up 99 percent of the visible universe—converge and forcefully snap apart. Electrons that exert a varying degree of pressure form an important part of this process as reconnection takes place. The research team found that variation in the electron pressure develops along the magnetic field lines in the region undergoing reconnection. This variation balances and keeps a strong electric current inside the plasma from growing out of control and halting the reconnection process. It is this balancing act that makes possible fast reconnection. The physics team built a picture of the gradient and other parameters of reconnection from research conducted on the Magnetic Reconnection Experiment (MRX) at PPPL, the leading laboratory device for studying reconnection. The findings marked the first experimental confirmation of predictions made by earlier simulations performed by other researchers of the behavior of ions and electrons during reconnection. “The experiments demonstrate how the plasma can sustain a large electric field while preventing a large electric current from building up and halting the reconnection process,” said Fox. Predictions of space storms. Magnetic reconnection in the magnetosphere, the magnetic field that surrounds the Earth, can set off geomagnetic “substorms” that disable communications and global positioning satellites (GPS) and disrupt electrical grids. Improved understanding of fast reconnection can help locate regions where the process triggering storms is ready to take place. Mitigation of the impact. Advanced warning of reconnection and the disruptions that may follow can lead to steps to protect sensitive satellite systems and electric grids. 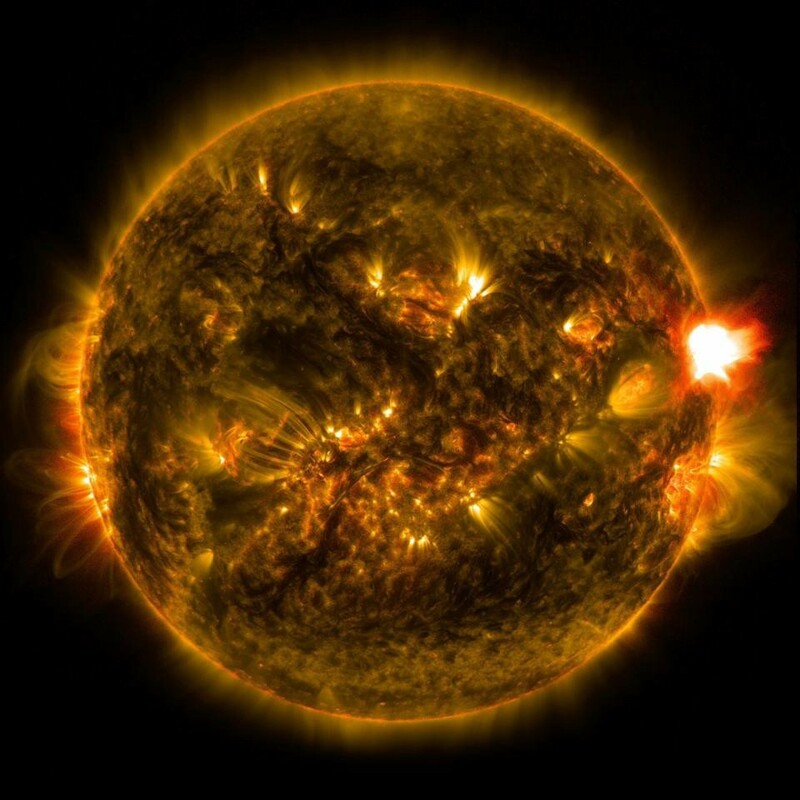 A solar flare, visible at the right of the image, occurs when magnetic field lines split apart and reconnect, far more rapidly than prior theories have predicted. Image credit: NASA. Magnetic reconnection this fast shouldn’t be possible, yet we see it everywhere we look. Finally, we know why. Just like Earth and many other worlds, the Sun has a magnetic field that permeates throughout its interior and emerges far beyond its surface. The field is irregular over the surface, and oftentimes loops and other intricate structure can be seen. Plasma — the ionized matter found at the Sun’s edge and all throughout — often traces these magnetic structures. But every once in a while, these almost-always-tied-together field lines snap and rapidly reconnect, causing particles to stream outwards at incredible velocities. The reconnection speed has always been a mystery, occurring far more quickly than the equations would predict. Explanations have come and gone through the years; none has ever been satisfactory. But a new theoretical development, the science of plasmoid instability, appears have solved the puzzle at last. Magnetic reconnection between the Sun-Earth system. 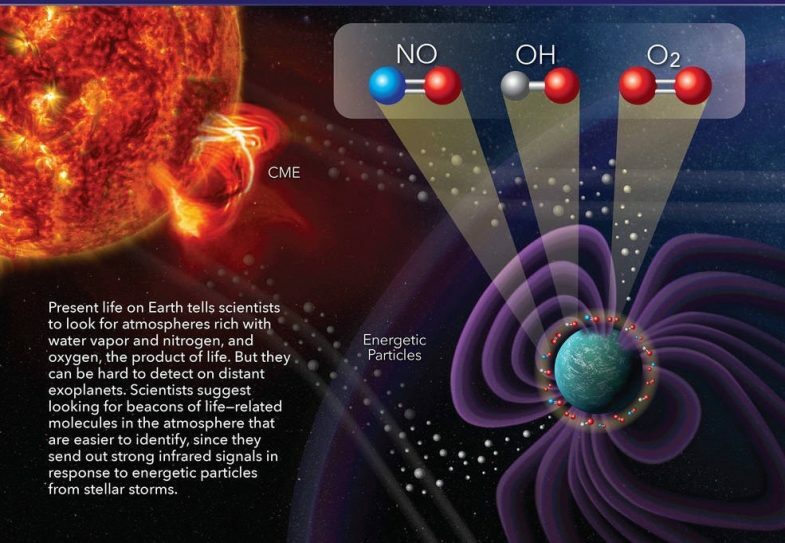 Image credit: NASA’s Goddard Space Flight Center/Duberstein/Magnetospheric Multiscale Mission. Magnetic reconnection doesn’t just happen on the Sun, but in a wide variety of astrophysical and terrestrial phenomena. When charged particles fly from the Sun towards our world and then flow down the Earth’s magnetic field to create aurorae, that’s due to magnetic reconnection. When turbulent plasmas exist in interstellar space,magnetic reconnection causes electron heating, and the same mechanism may even power gamma-ray bursts. 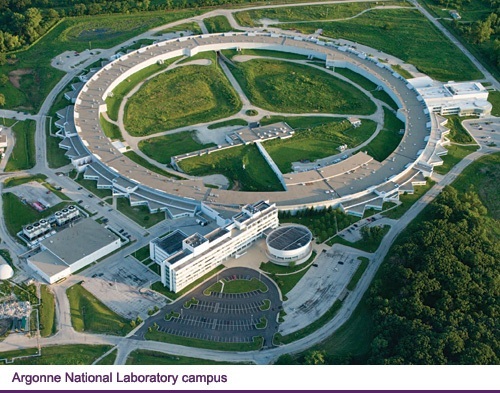 And right here on Earth, we can perform laboratory-based experiments to not only study the phenomenon itself, but its consequences, such as causing the hot, central plasma to mix with the cooler, outer plasma closer to the wall in magnetic fusion reactors. The plasma in the center of this fusion reactor is so hot it doesn’t emit light; it’s only the cooler plasma located at the walls that can be seen. Hints of magnetic interplay between the hot and cold plasmas can be seen. Image credit: National Fusion Research Institute, Korea. Envision the magnetic field created by any number of bar magnets. Move those magnets around to different configurations relative to one another. Watch the lines disconnect from certain locations and reconnect in others as the fields change. That’s it! That’s magnetic reconnection. 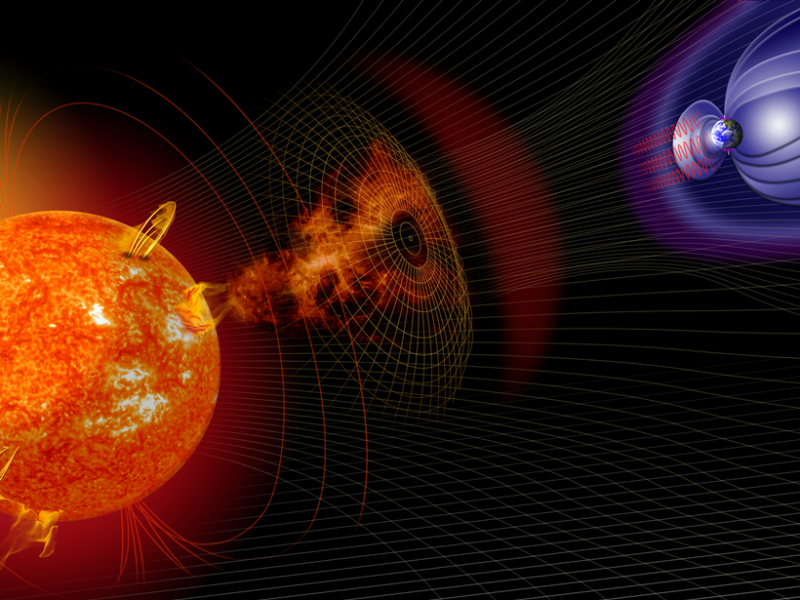 Thanks to a series of space-based explorers, we’ve been able to observe and confirm the phenomenon of magnetic reconnection quite robustly, both in the emission of solar flares and in the auroral phenomenon here on Earth. But, as with a great many things, the devil is in the details here. In astrophysics, one of the most important details of plasmas is electric currents. Because plasmas are made up of ionized atoms and free electrons, including bare atomic nuclei, electric and magnetic fields can separate, move and accelerate these particles at incredible speeds. Moving charged particles make electric currents, and in one of these magnetized environments, those currents get compressed into thin layers — or sheets — that wind up getting expelled from the plasma entirely. The largest such current in our Solar System arises from the Sun and is known as the heliospheric current sheet. At around 10,000 kilometers in thickness, it extends past the orbit of Pluto in all directions. The heliospheric current sheet results from the influence of the Sun’s rotating magnetic field on the plasma in the interplanetary medium (Solar Wind). Image credit: Werner Heil/NASA. It was thought, for a long time, that these thin current sheets needed to highly constrain the speed at which the magnetic field lines can split apart and reconnect; that’s what theoretical calculations predict. But physics is an experimental, measurable science for a reason, and our observations indicate unambiguously that the splitting and reconnection happens faster than that predicted speed. 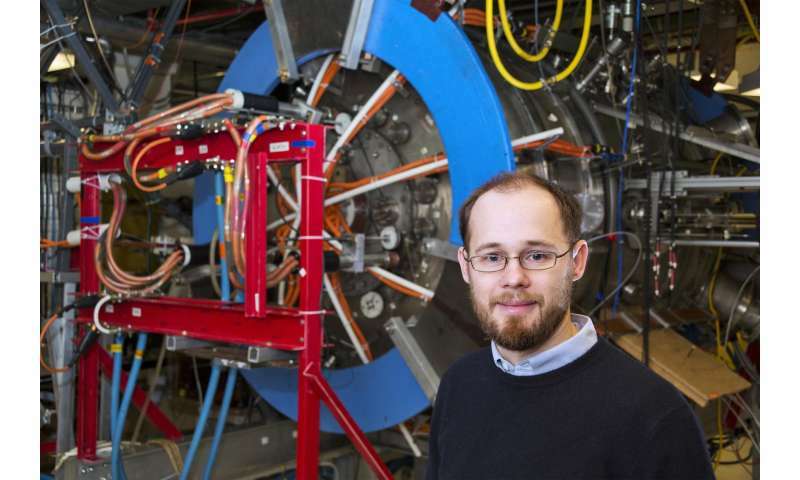 A team of physicists at the Princeton Plasma Physics Laboratory led by Luca Comisso performed a series of laboratory experiments that indicated the sought after solution was right in front of our faces the whole time: the plasma sheet isn’t a continuous, uniform entity, but rather can be broken up into small islands with their own unique magnetic properties. That’s what the “plasmoid instability” idea is. A hierarchy of interacting current sheets and islands arise in the plasmoid instability model of current sheets. Image credit: Phase Diagram for Magnetic Reconnection in Heliophysical, Astrophysical and Laboratory Plasmas — Ji, Hantao et al. 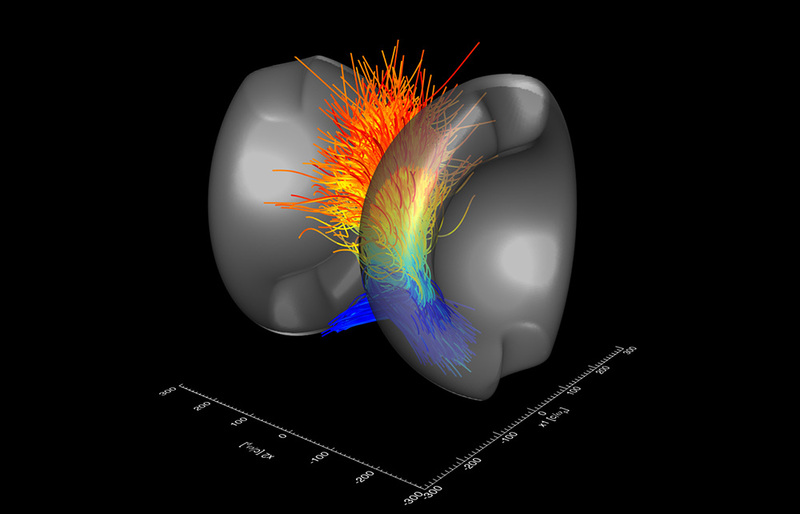 Phys.Plasmas 18 (2011) 111207. The idea has been around for a few years, but the huge advance of Comisso’s team is that they were able — for the first time — to correctly determine the quantitative properties of the plasmoid instability that lead to fast magnetic reconnection in real situations. Ironically, it relied on one of the oldest physical principles of all, dating all the way back to Fermat (of Fermat’s last theorem) in the 1600s and the principle of least time. Here’s how this breaks down. 1.A large current sheet behaves as the old, naïve model predicts: as a continuous, uniform entity where the magnetic field is mostly confined. 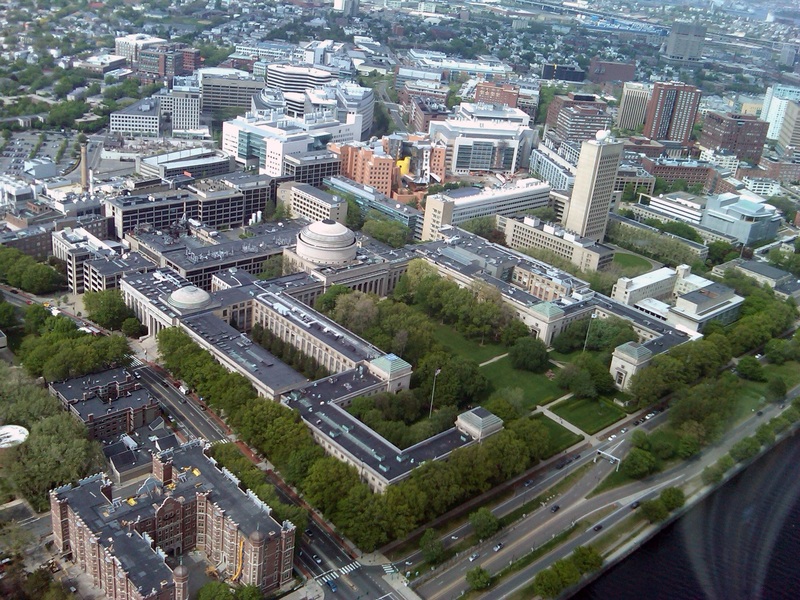 In many ways, it’s like forming a thin sheet of plywood. 2.Slight deviations from uniformity emerge, and plasmoid instabilities begin forming and growing at a uniform, linear rate. It’s like applying a small force to the plywood and watching it bend in response. 3.As the outside magnetic properties continue to change — the Sun rotates, the Earth-Sun system switches from night to day, the field’s configuration shifts, etc. — the instabilities change less than they did before. It’s like increasing the force to the plywood and watching it bend less than you’d expect, as instead it just holds that tension in its material structure. This is an example of stored, potential energy. 4.Finally, the magnetic properties have changed so much that the instabilities would be much more stably configured if the field lines rapidly shifted and reconnected. It’s here that the field lines break apart and reconnect, faster than any other model had predicted and in line with the observations. This is akin to the plywood simply snapping in two, and releasing that stored energy. Magnetic reconnection is imminent in this plasma current sheet, and the plasmoid instabilities are clearly visible. When the field lines snap, reconnection occurs. Image credit: Yi-Min Huang. It is common in all realms of science to seek the existence of power laws, despite the fact that they are, sometimes, intrinsically simplistic. In contrast, we find that the scaling relations of the plasmoid instability are not true power laws — a result that has never been derived or predicted before. If you ever wondered where solar flares came from before and how they get ejected so quickly, the answer lies in magnetic reconnection. For the first time, we finally understand and can predict exactly how this phenomenon works, in not just a qualitative but a quantitative fashion. Reference: General Theory of the Plasmoid Instability, L. Comisso, M. Lingam, Y.-M. Huang, and A. Bhattacharjee, Phys. Plasmas 23, 100702 (2016). Preprint available at Arxiv.org.